Justia Lawyer Directory Search for "Marc A Humphrey"
Search for "Marc A Humphrey"
Marc Humphrey founded his own law firm in the fall of 1980. Marc has dedicated his entire career to serving others. Humphrey Law Firm, P.C., provides quality legal representation for those who have been wronged. 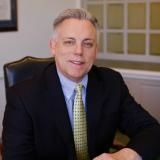 Marc handles a range of civil practice areas, including personal injury, employment disputes, including sexual harassment and retaliation, consumer protection and medical negligence.